The season at The Rink at Wade Oval may be winding down, but the fun is still going strong! From February 8-10, skate on pink (yes, pink!) ice at Pink the Rink. For one special weekend each year, the ice is colored a bright shade of pink and decorated for Valentine’s Day. Speaking of Valentine’s Day, spend some time with the people you love at The Rink’s Valentine’s Day open skate on February 14 from 4-8 p.m. If your family is feeling adventurous, try a game of Bubble Soccer on Wednesday, February 13 from 6-8 p.m., presented by Recess Cleveland. Unfamiliar with Bubble Soccer? Teams wear giant, inflatable “bubbles” while they run and bounce around The Rink and try to outscore their opponents. With the kids off of school for Presidents’ Day on Monday, February 18, it’s the perfect time to head to The Rink to enjoy the final skate of the season from noon-7 p.m. Representatives from the Cleveland Monsters will be onsite from noon-3 p.m. that day with special activities and giveaways. With so much left to do this February, we hope you’ll stop by and skate on The Rink. 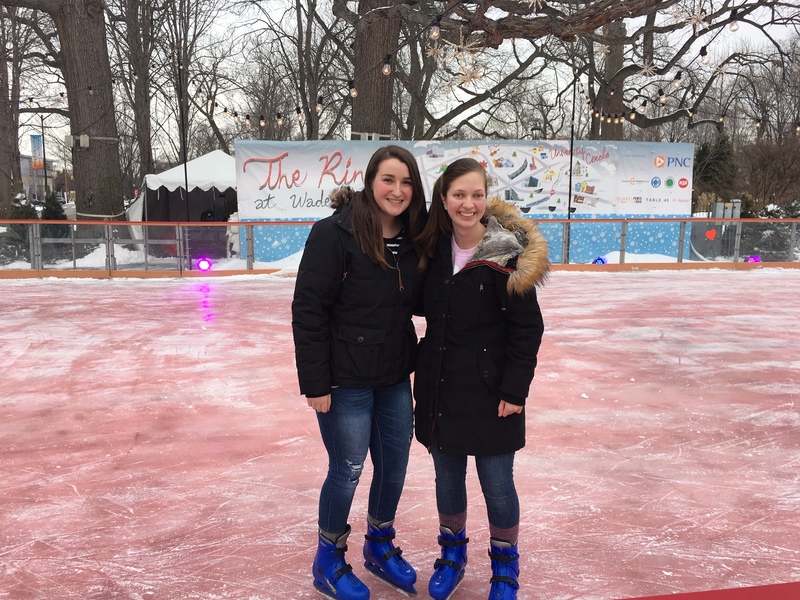 With admission just $2 for adults, $1 for students, and skate rentals at $3 for adults and $2 for students, The Rink at Wade Oval is an affordable way to entertain the whole family! For more information, go to universitycircle.org/rink.